Need a marriage certificate translation? Translating a foreign-issued marriage certificate in Australia does not need to be a hassle. When it comes to translating marriage certificates in Australia, OPAL Translation is your trusted partner. All of our Marriage Certificate translations are NAATI certified with 100% acceptance guarantee. If you are looking for a NAATI certified translation services provider in Australia, look no further than OPAL Translation. We complete translations fast and at the most affordable rates! If you have an urgent project, you can count on us to complete your translation before your set deadline! We understand how important your documents are. As such, we’ve created a team of the best translators and project managers to help you. Let us know when you need your documents and we’ll make sure to deliver on time. You don’t need to spend hundreds of dollars on a single document to get it translated to your preferred language. Here at OPAL Translation, we can provide you with the lowest rates for expert quality translations. Get a free quote on your translation via the free quote form found on this page. For a few years, we’ve worked hard to create a team of seasoned translators in the industry. We’ve handpicked the best NAATI certified translators with years of experience to handle your documents. For every translation request that we receive, we allocate it to the most qualified translator in our team. You can be sure that your documents are in good hands when you choose us. The secret behind our success as a translation company is our dedicated project managers who are highly skilled and experienced at what they do. They ensure that all of our client’s requirements are met and all expectations are exceeded. We understand how frustrating it can be to ask questions and not receive answers. As such, we’ve made it possible for you to ask us your questions anytime and anywhere you are as long as you are connected to the internet. Simply chat with our customer service representatives using the Live Chat below and receive a reply in a few minutes. That’s a promise. Do you have any questions? Here are some of the frequently asked questions we’ve received in the past years. How do I get my marriage certificate translated into English in Australia? We have been translating marriage certificates for over seven years for all official purposes in Australia, so we are well aware of the processes required to ensure that your English marriage certificate translation is accepted. How do I order a marriage certificate translation? We provide a completely online marriage certificate translation service – 100% NAATI certified of course! Simply fill in the Free Quote form on this page and upload a scan or photo of your marriage certificate and we will reply within 15 minutes via email with a confirmation of the quote. 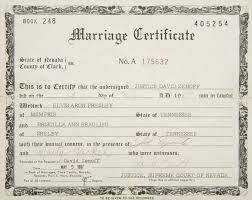 Most marriage certificates start from just $69.00 per marriage certificate, for our Regular service. We then translate your marriage certificate into English and send you a digital copy and a hard copy in the post. What languages can you translate marriage certificates from? All languages including, Spanish, Chinese, French and German (but all languages). Can you translate marriage certificates for divorce applications at the Family Court? Yes, we sure can. A marriage certificate translation that is being submitted to the Family Court needs to be accompanied by an affidavit completed by the translator. This may sound complicated, but it is actually quite simple for as we have been doing this for so many years. b. an affidavit by the person who made the translation verifying the translation and setting out the person’s qualifications to make the translation. Pricing for a marriage certificate translation starts at only $69.00 – special online offer! Affidavits do attract an additional fee starting from $265 inc GST. Fill in the Free Quote form on this website and upload a scan or photo of your marriage certificate and we will get back to you within 15 minutes via email with a firm quote and instructions. Marriage certificates are the only legal proof anywhere around the world where a lot of unknown legal issues can be resolved. If you need to update your social security card, driver’s licence and other identification forms, you will need a marriage certificate. You will need a marriage certificate to prove that you are married when you are going to travel abroad on your spouse’s visa as a basis. For property partnerships, insurances, businesses and joint accounts, a marriage certificate is required to prove that your marriage is legal.